Have you ever heard of the phrase that Today is a Red Letter Day? It used to be quite common but now is just one of those sayings we vaguely remember from school. It may well be for you and you’d don’t even know it. The origins of this saying go right back to the Roman Republic which lasted for almost 500 years before it evolved into the Roman Empire over 2,000 years ago. It was their habit to mark important days in their year by marking them in Red on their calendar. It’s something we still do today either to mark national holidays, religious festivals or simply the weekend for those of us at work spending all week waiting for a few days of freedom. In the U.K. some state officials such as Judges or University academics wear special gowns on these days. Today, weekends are often highlighted in red print. What really made the term Red Letter Day come to prominence was in the Medieval period before the printing press was invented. For centuries everything had to be written out painstakingly by hand, frequently by monks or other religious people who were amongst the few who could read and write at this time. It would take the monks years or even over a decade to write a book, perhaps 20 years to make a copy of The Bible. This was partly due to having to do it all by hand with no mistakes but also due to the love they imbued on their work and on God. They would treat their work as a glorious piece or art. With all this going on it is no wonder it took them days to write out a paragraph, page or chapter. 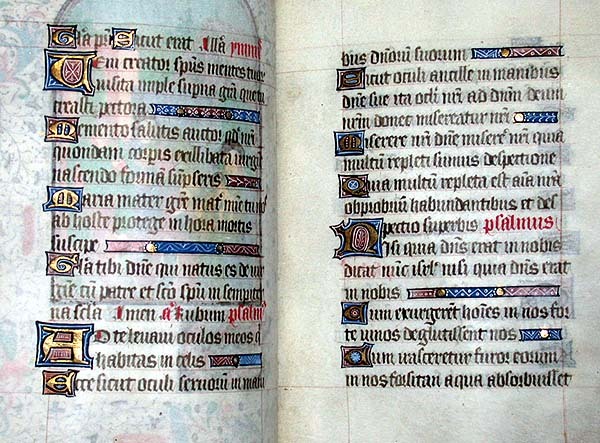 It must have been monotonous for them and partly for their own satisfaction as well as making it easier for the reader for find the beginning of each piece of text, the monks would write the first letter in red. It was something unusual, a cause for celebration as this sort of thing didn’t happen every day. In fact it became a Red Letter Day. I don’t know what the modern equivalent of this might be? A special treat for reaching a keystone on a diet? Or for us writers perhaps a cup of tea or our favourite snack after we reach the next 10,000 words or complete a key plot-point or chapter. Why would this weekend be your Red Letter Day? Mine is because today is the day I start my next writing project. We may no longer mark the beginning of our texts with ornate artwork and red print but as every writer knows, there are a number of special moments in writing a book that must give us something like the feeling that the old monks had when it was time to break out the red ink. This entry was posted in history, Religion and Faith, writing and tagged books, churches, history, Life, Red Letter Day, religion, writing. Bookmark the permalink. I enjoy all your posts and you write them so well. Best of luck with your new red-letter-day project. I love reading about how these sayings came into use. How interesting! I’ve learned something today – thank you Stephen! Glad to be of service! I had actually forgotten all about it but was giving a guided tour last weekend when an official at the tourist attraction mentioned it and I thought to myself it would make a a great little post. I am especially impressed with the fact that the Monks did look at their life work as a “labor of love” The importance that one places on each day, the hour, the minute should reflect a love for life and its importance. I think in many ways the Monks had the right attitude. Though it may be impossible for all of us, if you can’t love your work then you’re really not making the most out of your life. The monks must have had such strong faith and dedication and God truly lived through them. Hi, I’m writing a blog post about the Sabbath, and wanted to include an image of a calendar page with Sundays printed in red. Google image search, and… Voila–I found this post! The content is related to my post. 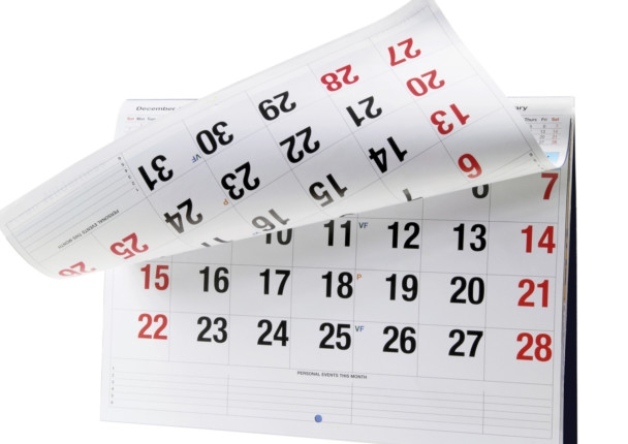 Would you mind my borrowing the calendar image (I would actually crop out the right-hand half of the page), crediting you, and linking to your post? Just let me know if you want to see my content first. many thanks for your comment. I’m glad you found my post of interest. Please so feel free to use the photo and reference my blog post too. If you could leave a comment here when you have posted it then it would be wonderful to ready yours post too! Wonderful; thank you! I’ll comment here as you suggest. The post is currently scheduled for August 14, if nothing more time-sensitive crops up before then. My post about the Sabbath went live today. Thanks again!